It could be nostalgia or it could be jealousy. When I found this poem on Agility Nut I knew it would be perfect for my Sunday series. I have spent a greater part of the weekend watching the videos of my Haligonian friends as they go on to earn title after title in one of the greatest sports in the world. I knew these people and these dogs back when they were just starting out, when one was too scared to zip through a curved tunnel and when another quivered at the sight of a tire jump. It is heart-warming to see how our former teammates have grown and it is bittersweet to watch from afar as they succeed beyond their early expectations. I miss the sport of dog agility a lot. It was a significant part of our lives for almost four years. It was where we found each other. The few moments Shiva and I had together, when everything just connected, were a wicked experiences. Our last class together in July 2013, before we moved to Edmonton, was one of those times. It is a memory I will always treasure. If only we had it on video. If only those moments had been more frequent. If only things had aligned a little better for us. This isn’t to say we’ll never get back into the ring. One never knows what awaits. But it isn’t going to be any time soon. Here is a blessing to all dogs and humans participating in agility, this weekend and next, and all the days to come, whether your are just beginning or whether you are a seasoned professional. May your frustrations be minor and your joys of working together outweigh them all. May the course be fun and fast. to the photographers they pass! with one little toe, at least. May no bars fall on the ground. May the judge’s whistle never sound. And ignore the ones that are wrong. and the bond with your dog grow strong. and who could ask for more? Before anyone is offended by the title of this post I want to make it clear that I do not believe Border Collies any any smellier than any other breed. If anything, their OCD nature probably makes them less odorous. No, the reference has less to do with stinkiness and more to do with the fact that the more time I spent in dog sports the more former mutt-lovers I saw switching over to the dark side. Before anyone is offended by that I want to make it clear that I do not abide breed discrimination and I think Border Collies are brilliant dogs. Some of Shiva’s best friends are Border Collies! Er…That may not quite be accurate. Shiva’s antics tend to bring out the worst in other dogs and Border Collies especially seem to prefer eating her face off to joining her in a game of running around like a maniac. Nonetheless! I love Border Collies and before the wackadoodle I used to think I wanted one. Now I know I prefer certifiable to genius in a dog. There seems to be this belief that if one wishes to move to the upper echelons of canine athletics, one requires either a Border Collie or a Sheltie. People I knew would get their start with a mutty rescue and then once they kind of knew what they were doing, they would purchase a Border Collie puppy. It was just a shame, is all. It gives newcomers and audience members the wrong impression. Other dogs are just as capable and love the thrill of competition just as much. One of the things I love the most is watching dogs of non-traditional breeds get out on the course and do just as well. Proving that, well, one doesn’t need a Border Collie to succeed. Anyway, apparently it isn’t just dog sports in which Border Collies are unnecessarily the dominant breed. Or should I say species? Do You Have a Dog Training Support Group? 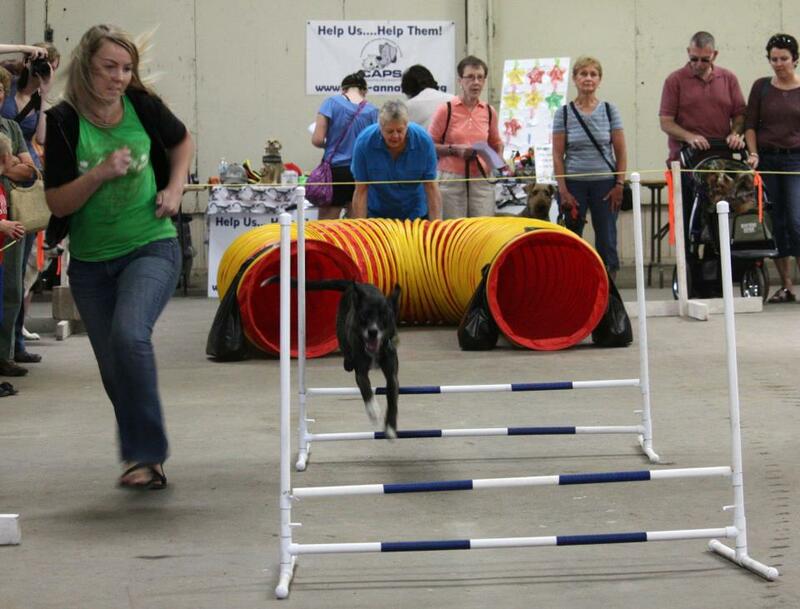 Shiva’s last agility class took place on July 6, 2013. Five months ago. The dog sport was a part of our lives for so long, three and a half years, I was wistful about giving it up. Our coach and trainer had become a good friend; we certainly wouldn’t be the team we are today without her guidance. I owe her a huge debt of gratitude. Not to mention, all of the compassionate friends we met along our journey. They were people and dogs who had experienced similar troubles and anxieties. A more supportive lot I have never met outside of blogland. I will forever be grateful for each and every one of them for the cheers, the commiserations, and the camaraderie. They were special people and I doubt I will see the likes of them again. Alas, things changed, our lives changed, and we had to say goodbye to all of it. That final day of class was difficult, to say the least. As I watched our trainer and friend say her farewells to Shiva, it was all I could do to rein in my emotions. I was determined not to cry in public. I don’t think I did a very good job. We owe them so much and it is hard to comprehend that we may not ever see them or their adorably skilled dogs ever again. Of course, they are all just a Facebook message away but it’s not the same is it? Another dog and handler have taken our place in the class, competitions have come and gone, titles have been won and lost, and we were not there to witness any of it. Videos after the fact do not compare to shouts of encouragement on the sidelines. 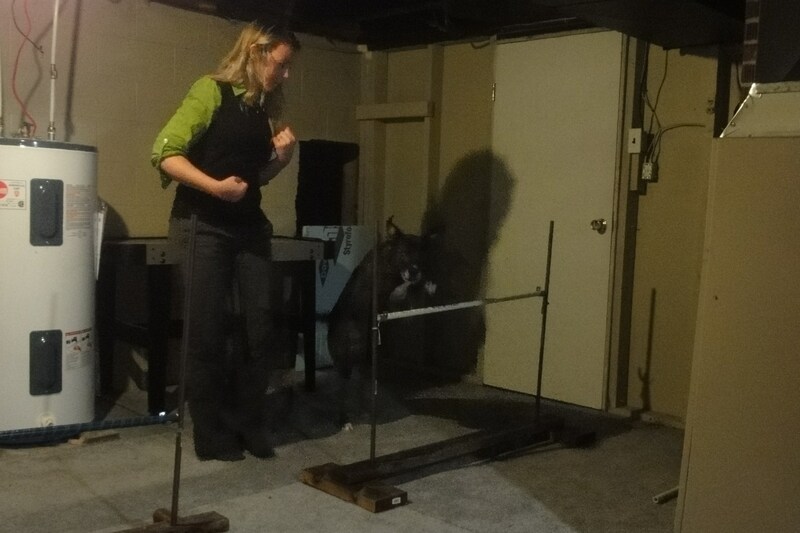 Agility has not been an easy practice for Shiva and I. We’ve had many more failures than we’ve had successes. Countless times I have vowed to give it up, that the stress is not worth the lackluster results. And yet, I miss it. Maybe not the frustration or the tears but the moments when we really connected. They were few, admittedly, but the rush was enough to keep me going. Honestly, I don’t know that I will ever trial with Shiva again. It’s not something that was ever fun for us. What I miss, though, are the classes, the little bursts of connection and fun once a week in an environment where it didn’t really matter if we performed the sequence perfectly or not. Especially during this last year when I officially gave up the sport. It took all of the pressure off. Ironically, when I stopped caring how well Shiva performed, she did better than ever. Our last class was amazing. I don’t remember the obstacles or sequences – that is all a blur now. What I remember is how we were both on our game. Laughing and playing, Shiva and I were a true partnership. We enjoyed that final hour as much as we possibly could. She made me so proud. It was a fitting end to her agility career. And yet… Perhaps it doesn’t have to be the end. Maybe we can find another class here. It won’t be the same – it couldn’t. Magic like that isn’t created, it just appears. I don’t even know how to look. We kind of just fell into our last class on a referral from our trainer. Is it possible we could be that lucky again? This is where I ask for your advice. 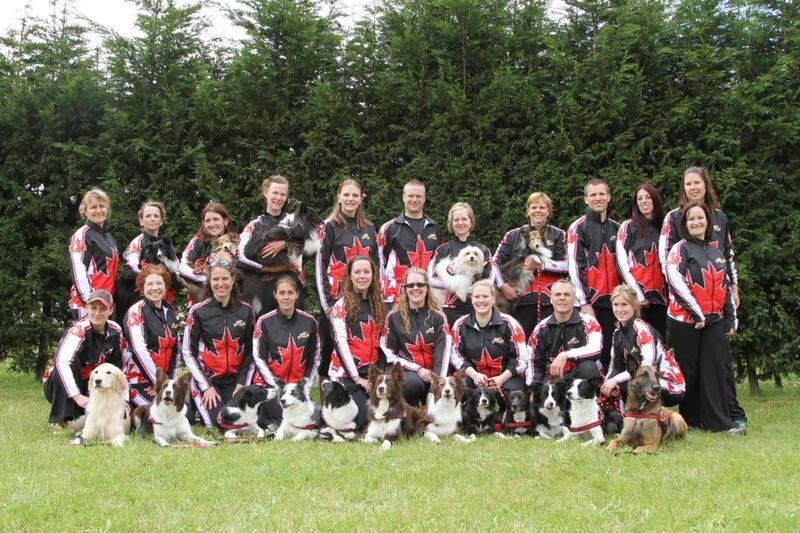 If you currently take training classes, either in agility, or nosework, or any other dog related skill, how did you find your coach? Did you receive recommendations from friends? Did you randomly Google and select the first place that sounded decent? Do you feel a connection with your fellow classmates? If so, how did you find your training group? Today is actually the next Agility Action Day for dog agility bloggers. I have felt out of touch with the agility world lately so I’m really struggling to come up with something to contribute. The theme this round is backyard agility, something I don’t have much experience with. Until recently I haven’t had a backyard to use for this purpose. For the last three years we have done most of our practice in our wee living room with one jump, a practice plank, and four sad little weave poles. Foundations, foundations, foundations. That’s all I have to say. I like to think we have proven a lot can be accomplished with very little. Now, however, we do have a decent-sized yard. Only it’s dark by five pm. And cold. Getting up the motivation to practice outside after a walk in sub-zero temperatures is a Herculean effort at best. It’s a good thing the new house also comes with a basement. An unfurnished basement. I feel like we have graduated to a whole new level of agiliting. Make fun of our home-made clunky jumps if you wish, but hopefully over this winter Shiva and I will continue to prove that agility is not about barn rentals or fancy equipment. It really is a sport for anyone with interest and passion. If this crazy, collection-hating mutt can learn to weave twelve poles and rip across an A-frame with only limited space, anyone can. Welcome to the Advent Calendar for Dog Lovers hosted by Kol’s Notes, PupLove, Rescued Insanity, Woof Woof Mama & I Still Want More Puppies! Today’s giveaway is sponsored by Canada Pooch. Click here to enter to win an adorable Cozy Caribou Hoodie or an Everest Explorer Vest, plus be entered to win our Grand Prize package worth more than $1000! Born to Be a Shiva? 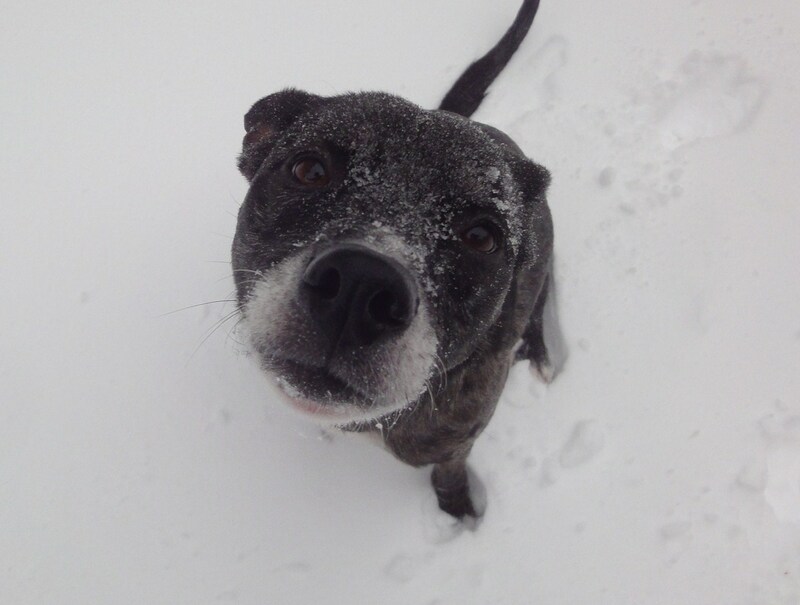 I can’t really say why or how we decided on the name Shiva for our dog. We had come up with a list of names we liked and slowly started eliminating ones that didn’t quite fit. “Pepper”, “Leda”, and “Loki” are three that I can remember off-hand. I remember we had yet to decide on the day of our first vet visit, about 48 hours after we brought her home. When the receptionist at the clinic looked at me and asked her name, I turned to my PH with eyebrows raised, laughing awkwardly in my uncertainty. 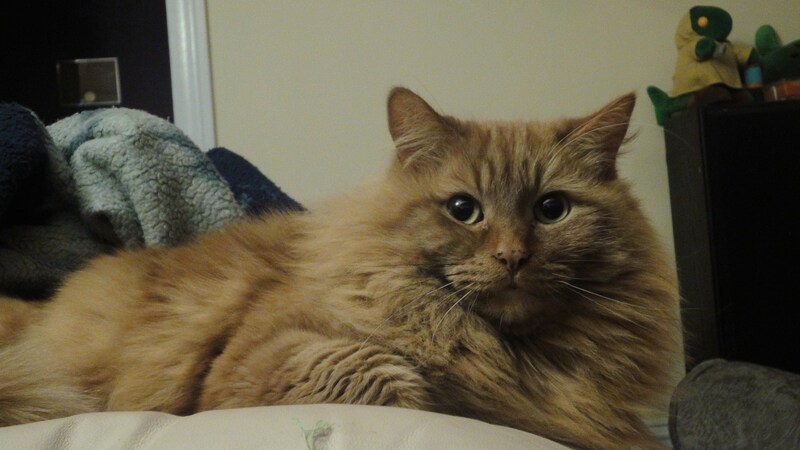 “Shiva”, he filled in for me with confidence. In many ways, our Shiva grew to live up to the name. A goddess of destruction she was indeed. At this point I can’t think of any moniker that would suit her more. This morning, after watching a video a friend forwarded to me, I began to wonder if there were other forces involved when we came up with the name. It could just be coincidence but maybe Shiva is a Shiva for a reason. I’ll let you watch the below and come to your own conclusions. Today I have the honour of co-hosting the Follow-Up Friday Bog Hop with Heart Like a Dog. It couldn’t be more timely as there is a post on this blog that is screaming for a sequel. Really, I should have waited until after my vacation last week to write it as I simply did not have the time to respond to all of the comments like I should have. And I should have. Because, wow. You guys? Seriously? I am so completely humbled and flummoxed and appreciative of how you reached out to me when I needed it the most. There are so many people I need to thank individually. Every single comment meant so much at a time I felt pretty dang low. Even though dog agility is just a goofy little dog sport and my angst over the whole thing was akin to some people’s angst over world hunger, you understood. You didn’t make me feel silly or inadequate. You got it and because of that, I was able to pick myself up and attend the next agility class with quasi-confidence. Which is pretty big for me. I wear confidence like I wear a silk dress – awkwardly. I still haven’t made a final decision about my continuance in agility with Shiva. Part of me kind of wishes my PH would just take up the reins with her so I could find another dog who would better mesh with me. I’ll keep working on him but so far, no dice. Given all he has witnessed, I can’t really blame him. As of today I think I am taking a hiatus on all fun matches, trials, and pressure situations. What I think we need to work on the most is our relationship. I need to learn how to have fun with it again. Coincidentally an agility coach of mine just sent out an email notification of an upcoming connection workshop she will be holding from December to March. Could it be any more appropriate? I haven’t trained with this instructor since last winter but I’ve always had really great results after our sessions. I have hope that with her aid, we may get back on track. What have we got to lose, really? I mean, it can’t get any worse than what it is now. Also, I’ve decided to stop rewarding Shiva on her line completely. I’ve also decided to only use food treats instead of a tug toy. Yes, I know. I spent three years trying to get Shiva to tug in class. But from what I have seen, using toys instead of food may have contributed to her regression. Tugging can be over-stimulating for an already too-drivey dog. Treats, on the other hand, instantly snare Shiva’s attention. If she learns that the only way she gets said food is if she stays with me, then we might one day be able to get a semblance of focus on the course. And maybe, just maybe, I’ll get to do more than take a single step off the start line. Shiva doesn’t run off out of stress. I’ve never believed that. She isn’t sensitive to my feelings and doesn’t really care if I am upset. In my opinion, based on my experiences with her, Shiva runs off because she is distracted, bored, over-stimulated, or looking for fun. When I am nervous and stressed out, I am not exactly Nova Scotia Good Times. So she goes off in search of her own. Who can blame her? I probably wouldn’t hang out with me either. Until I can learn to laugh while on the course, Shiva isn’t interested in what I have to offer. If I am boring or freaking out over what she deems as nothing, she’ll continue to take off. I need to learn how to enjoy myself at least half as much as she does. I’m keeping my expectations low. As in, non-existent. Instead, I am going to spend my time playing with Shiva again. I am going to stop taking it all seriously. I am going to remember why I fell in love with her. And I am not going to enter any matches, fun or otherwise, until I can enter the ring with a genuine smile on my face. At least, this is how I feel today. We’ll see what tomorrow brings. If there is anything I’ve learned after living with this dog, it’s to keep on my toes. Life with a Shiva is never dull. I need to remember to appreciate that. A hundred thousand thank yous, again, for every kind word. You each have made such an impact in my life. I am so grateful Shiva led me to this incredible community.